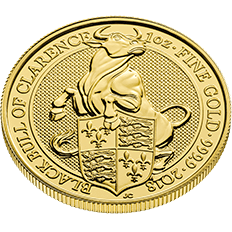 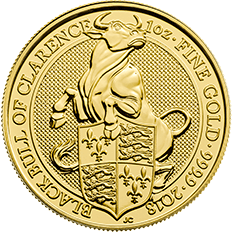 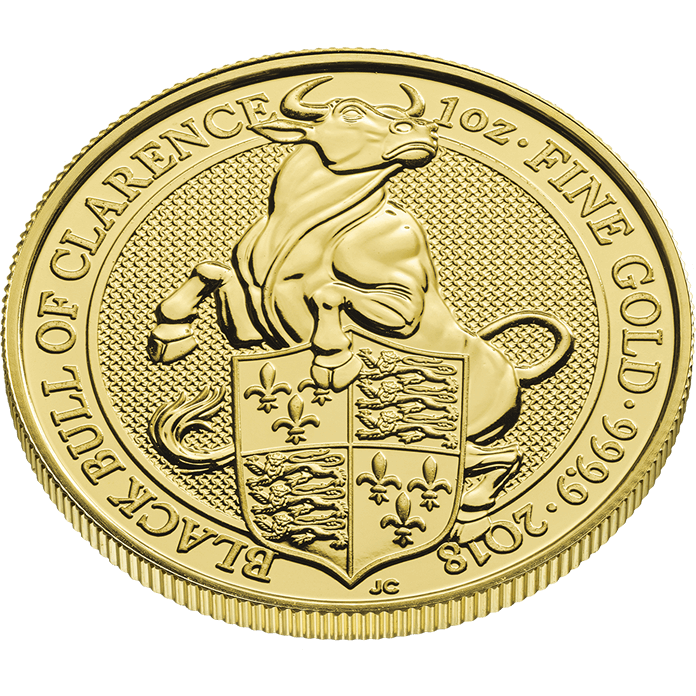 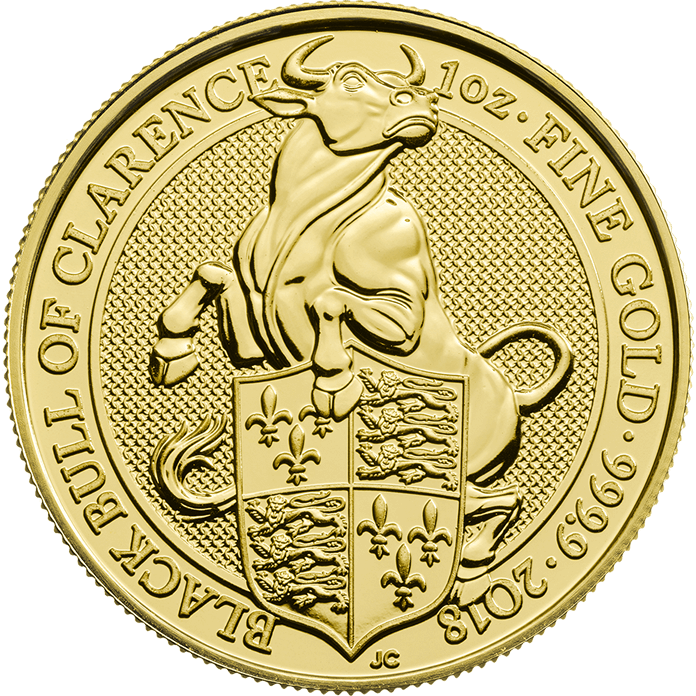 Following the success of the Lion of England, the Griffin of Edward III, the Dragon of Wales and the Unicorn of Scotland, we’re excited to reveal The Black Bull of Clarence One Ounce Fine Gold Bullion Coin, featuring an original design by acclaimed coin designer Jody Clark. 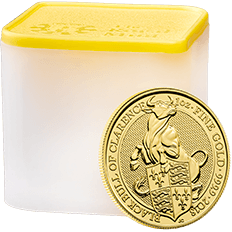 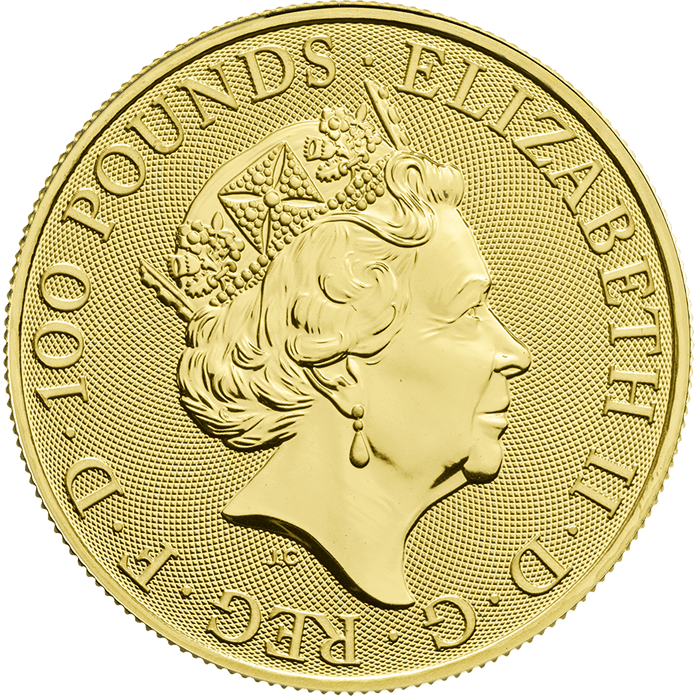 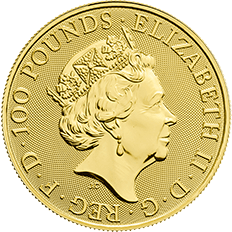 The bullion coins of The Queen’s Beasts Collection are also available as a quarter-ounce fine gold edition and a two-ounce fine silver edition. 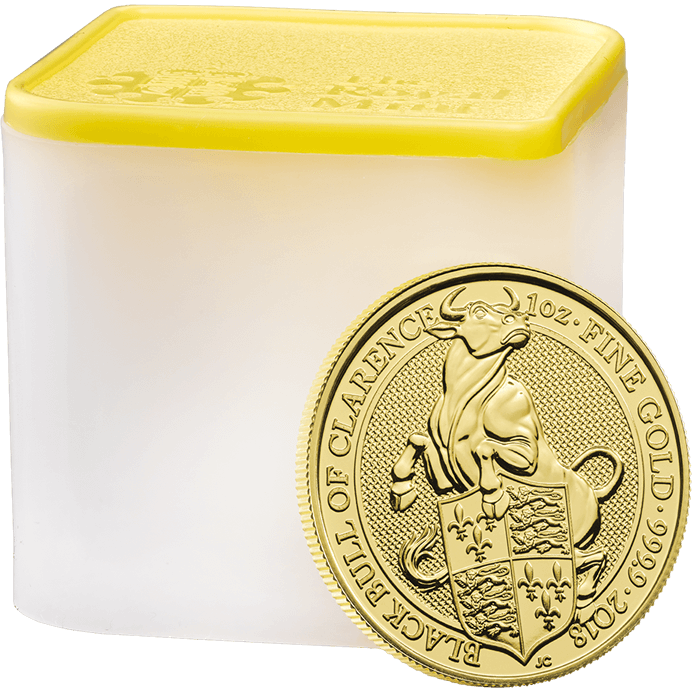 Ten coin tubes are also available for the two-ounce fine silver edition.